Protects against the oxidative stress responsible for aging. May prevent age-related loss of cognitive function (attention, memory). Pyrroloquinoline quinone (PQQ) is an essential nutrient that has been studied by scientists for 10 years but has only been commercially available for just a few months. Its recent availability for use in nutritional supplements represents a major advance and a significant addition to the arsenal of anti-ageing weapons. ¤ PQQ has antioxidant and vitamin properties associated with the repair of cognitive function, which makes it a key player in controlling the ageing process, protecting nerve cells and naturally stimulating energy levels linked to concentration and performance. Mitochondria are the cells’ energy powerhouses. A young person’s cells contain a large number – 2000-2,500 per cell – which function at full capacity. In older people, mitochondria are much fewer in number and function in slow motion, resulting in significant falls in energy, persistent cognitive problems and accelerated cell degradation. This major deficit in energy is involved in almost all age-related degenerative diseases. Certain nutrients, such as carnitine, lipoic acid, carnosine, resveratrol and co-enzyme Q10 can certainly help to improve the function of existing mitochondria. However, PQQ actually produces an increase in mitochondria - it promotes their biogenesis by activating genes which control their reproduction, even within senescent cells. This is what makes this such an exceptional advance with the potential to finally control one of the key mechanisms of ageing! ¤ Mitochondria have their own DNA(m) which differs from that present in the cell nucleus (DNAn). Mitochondrial DNA has no protein protection and as a result, is much more vulnerable to free radicals generated within mitochondria. In addition, this mitochondrial DNA is unable to self-repair in the same way as nuclear DNA; its degradation coefficient may thus be up to 10 times higher. PQQ protects mitochondrial DNA 5,000 times more effectively than vitamin C! PQQ has also demonstrated significant ability to modulate mitochondria, protecting their quality and their own functions. • Genuinely slow down the ageing process since it is closely linked to the degradation and progressive loss of mitochondria. • Increase energy levels which are essential to cells. Mitochondria are responsible for energy production and PQQ thus improves physical activity. .
• Improve cognitive function because the brain uses more energy than any other body organ and is totally dependent on the energy supplied to it. A recent double-blind, placebo-controlled study showed that a daily dose of 10-20mg of PQQ significantly improved short-term memory and powers of concentration in young adults, when compared to a placebo group. To date, PQQ has been the subject of over 175 published studies but it was only in 2003 that scientists demonstrated its fundamental biochemical activity in various organ functions, showing that these functions were considerably slower in the absence of PQQ. According to the journal Nature: “Based on demonstrations of its molecular functions, PQQ should be classified as a new B group vitamin, like niacin or riboflavin”. ¤ PQQ is water-soluble, does not build-up in the body, or lead to intolerance, even at high doses. Mitochondrial Formula also contains acetyl L-carnitine and R-lipoic acid, as the famous study by Dr Bruce Ames’ (Emeritus Professor of Biochemistry at the University of California, Berkely) showed that these two nutrients act synergistically to optimise mitochondrial function (see the interview with him in NutraNews May 2010: “When we gave R-lipoic acid together with acetyl L-carnitine, all the functions we were looking at, which had declined with age, were restored”.) Dr Ames demonstrated the role played by mitochondrial dysfunction in degenerative diseases, including neurological decline. He also showed that the combination of acetyl L-carnitine and R-lipoic acid mimicked the effects of calorie restriction, and restored optimal mitochondrial function both in the heart and brain. R-alpha lipoic acid is the natural form of lipoic acid that exists in the body. Acetyl L-carnitine is the significantly more bioavailable acetylated derivative of L-carnitine which is essential for cellular energy production. Mitochondrial Formula contains these two essential nutrients in the form and proportions recommended by Dr Ames. 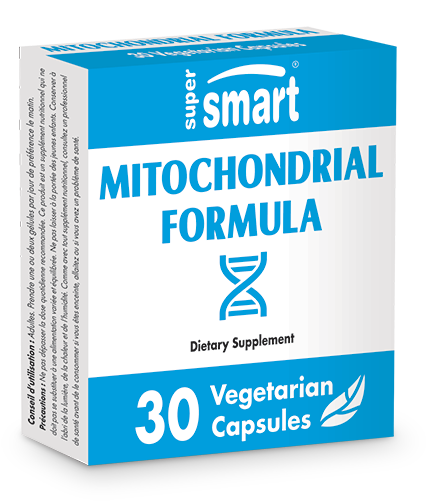 Mitochondrial Formula provides the ideal daily dose of PQQ (20mg) for promoting biogenesis of new mitochondria, as well as effective doses of the two most scientifically-supported nutrients for optimising function of existing mitochondria. This formulation can be taken alongside – or alternated with – other substances recognised for their important anti-ageing benefits such as those that mimic calorie restriction (resveratrol, oxaloacetate) and telomerase activators (cycloastragenol, astragaloside IV). This state-of-the-art ‘arsenal’ combines the most effective anti-ageing nutrients.